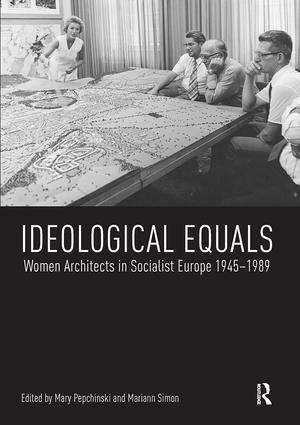 Ideological Equals: Women Architects in Socialist Europe 1945-1989 presents an alternative narrative of women in architecture. A topic often considered from the perspective of difference, this edited collection conversely focuses on the woman architect in a position of equality with their male counterparts. The book looks at nations in Eastern Europe under Socialism where, between 1945 and 1989, a contrasting vision of gender relations was propagated in response to the need for engineers and architects. It includes contributions from established and emerging academics in the fields of 20th century history, art history, and architectural history in Central and Eastern Europe exploring the political, economic and social mechanisms which either encouraged or limited the rise of the woman architect. Investigating the inherent contradictions of Socialist gender ideology and practice, this illustrated volume examines the individuals in different contexts; the building types the women produced; the books and theory they were able to write; their contacts to international organizations; and their representation on both sides of the Iron Curtain.